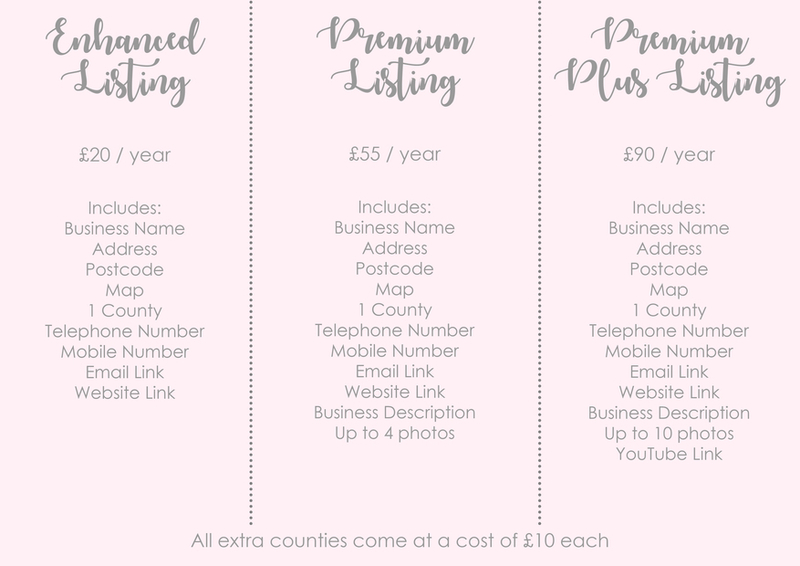 Add your company to our vast directory of wedding suppliers and get yourself seen by 100's of brides-to-be in your local area. Are you a wedding exhibition organiser? Click here to add your wedding exhibition to our site. Click here to submit your details and get your company added to our website!